An air mattress is a truly versatile thing. You can take it anywhere: for a picnic, for swimming or you can simply sleep on it at home. I won’t be surprised if they’ll be launching air mattress into the space someday. Given that you don’t have your own air mattress yet, I believe you’re already hooked. But don’t go anywhere else just yet. Hear me out. Today’s mattress market is packed with all kinds of air mattress. It’s certainly easy to get confused: which one do you need exactly? Which air mattress type is the best? How to choose the best air mattress? Now let’s review each of the above-mentioned in detail. If you want to get a truly good air mattress – don’t chase after cheap models. Think about it: you never buy a cup of instant coffee at a coffee vending machine and expect it to taste good. The same goes for air mattresses: cheap price means cheap quality. However, in no way am I encouraging you to buy mattress made of some rare-elephant-leather material or whatever. it’s actually suitable for sleeping. It’s also important to keep in mind that there are numerous shady manufacturers who use various tricks to reduce the costs of production when manufacturing air mattresses. 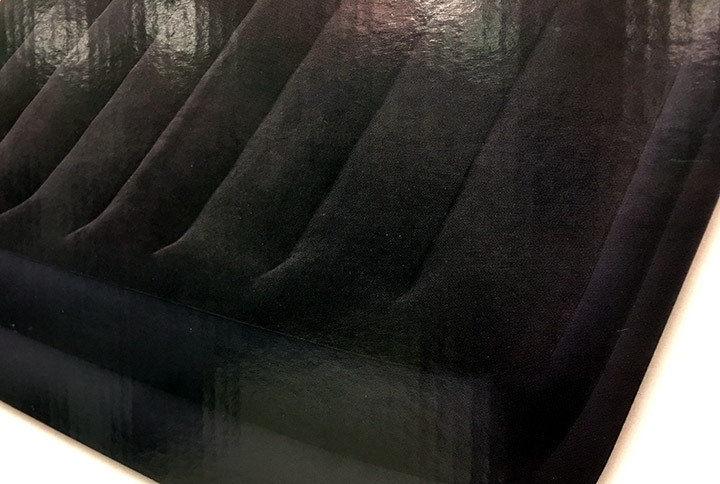 Those tricks are difficult to spot externally, but with the passing of time it becomes clear that the air mattress you bought just weeks ago was a waste of your money. 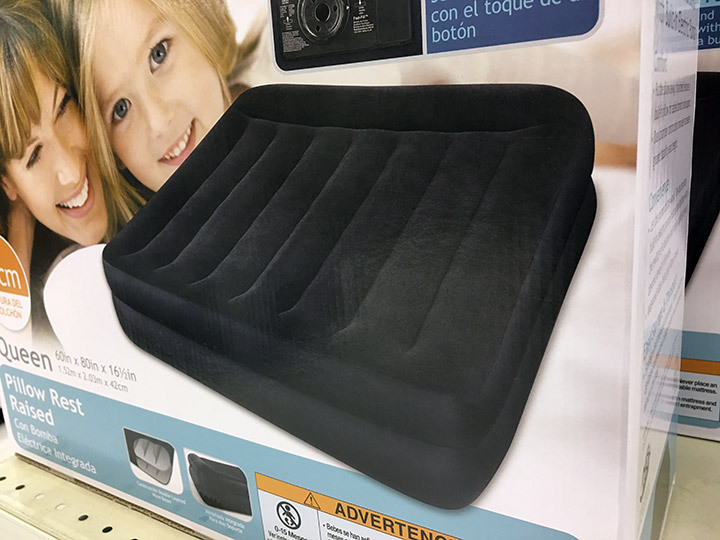 So we highly recommend to follow this ultimate guide on buying an air mattress to save yourself from trouble and unwanted additional spending. When shopping for an air mattress, make sure you ask the consultant what is the type of the mattress. It’s crucial because there are manual types of assembly and machine types of assembly. But which one is the best one? The machine one! Yes, the manual type is less expensive, but an air mattress that was assembled manually won’t last long. A friend of mine once bought an air mattress that was assembled manually at some shady firm. Guess what? He wouldn’t shut up about how cheap and awesome his air mattress is. And after about a month or so, guess what? His mattress ripped apart and the firm refused to do anything about it. Lesson learned: never buy manually assembled and cheap air mattresses. Bonus point: stay away from shade firms. There are air mattresses with and without the frame. But it’s best to opt for air mattresses with the frame. It’s because frameless air mattress don’t provide the orthopedic effect (meaning: it won’t hold your spine in the healthy position through the night). Here’s how you can easily check if the air mattress has or doesn’t have the frame. Just press your hand against the corner of the mattress and check its elasticity. If the air mattress is pretty solid in the corner, it means it has the frame. As for the material, it’s best to opt for air mattresses made of thick material. Otherwise, it will shred and possibly even rip apart very quickly. Air mattresses made of thin materials will serve you a few months at best. It’s definitely not worth wasting the money. Air mattress made of good-quality materials have the velvety texture and are waterproof. So these are the two key things you need to look for in air mattresses. In fact, this type of material is best suited for both summer swimming and for sleep. It would also be a good idea to ask the consultant if the manufacturer used glue when assembling the air mattress. Glue and longevity don’t go well together. A reliable manufacturer of good-quality air mattresses also makes sure to include a removable coveras well as an electric pump in the package with the mattress. The electric pump can be either built-in or external and it’s usually powered by the internal battery. If the air mattress doesn’t have a built-in electric pump, then it’s best to opt for other manufacturers. It’s highly recommended to thoroughly touch the surface of the air mattress before buying it. Note: the air mattress must be inflated. A high-quality air mattress that will serve you long should have an even and thick surface. Is your air mattress comfortable? Put the air mattress angle-wise on its short ridge and check if it bends? If it does, lie down and see if you’re feeling comfortable. Ask yourself this: Would you love to sleep on that mattress for years to come? Why air mattress is a great idea? An air mattress is always a perfect solution if your apartment is small. Even if you already have a regular bed, it’s recommended to have an air mattress handy. That’s because, as we’ve mentioned above, air mattresses are very versatile. Not only can you take it swimming the next time you’re vacationing, but also you can take it for a picnic. In fact, you’d also find an air mattress helpful the next time you have guests staying at your house. An air mattress is also so great because it’s basically a compact bed. When deflated, an air mattress doesn’t take up much space in your apartment. And if you have an air mattress you don’t have to worry about unpleasant smells (which is common in regular mattresses) and plus there is no place for bacteria and other parasites in air mattresses.